Leona Lewis has reportedly held talks with Calum Scott to duet on a song she's been working on. Leona Lewis has been discussing a duet with Calum Scott. The 32-year-old singer was last heard on the Grenfell Tower charity single, a cover of Simon and Garfunkel's 'Bridge Over Troubled Water', alongside the likes of Stormzy, Rita Ora, Robbie Williams, Louis Tomlinson and Liam Payne, which was released in June to benefit the victims of the blaze at the block of flats in west London, which killed over 70 people. However, the 'Britain's Got Talent' alumni has revealed he's been messaging the former 'X Factor' winner about getting together for a new song, though he didn't say if it would be for his debut album or Leona's next offering. He told The Sun newspaper: ''Me and Leona have been texting recently. She was like, 'Maybe you'd like to do this song with me?' So we're going back and forth. 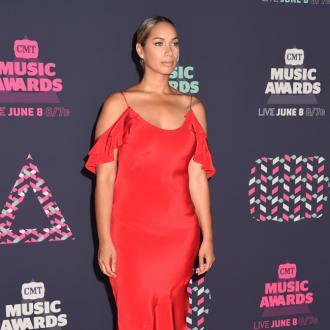 In 2016, Leona was dropped from her label, Island Records, and experienced a bumpy ride in the charts, despite their best efforts to propel her career. The 'Bleeding Love' hitmaker signed to the label in 2015, following her split from Simon Cowell's Syco. Leona's first single 'Fire Under My Feet' from her fifth studio album 'I Am', released under Island Records, flopped in the charts and the LP sold just 8,500 copies in its first week in September 2015. As for Calum, his cover of Robyn's 'Dancing on My Own' released last year sold over 600,000 copies, making it platinum in the UK.